Fantastic Danmaku Festival Part II is an Action, Arcade game for PC published by 东方幕华祭制作组 in 2019. Shoot the enemies and win! The Scarlet Devil Mansion brings disaster to Gensokyo again and the girls take their way towards the scarlet mansion, meet familiar rivals to fight! 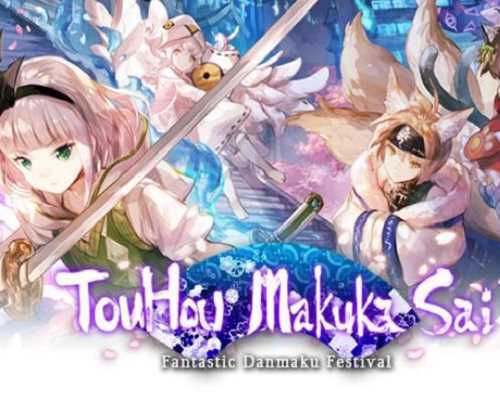 Touhou Makuka Sai ~ Fantastic Danmaku Festival partⅡ is a danmaku shooting game, which is the second part of Touhou Makuka Sai. The repeat of incident is coming again. Can the girls going to the netherworld solve the mystery? The spring of Gensokyo arrived one month ago… Unprecedented blizzard suddenly hit, making Gensokyo become colder than Winter. Soon, Youkais became restless under the overwhelming blizzard. “It’s too similar…it shouldn’t be a coincidence, should it?” Miko from jinja, witch from forest, and wind priestess specially comes for the incident gather again. They all know something in heart but also full of uncertainty and anxiety. To solve the mystery before thing goes worse, they have to start off to find out the root of the incident, even under the fierce blizzard. Seems familiar but a brand new different script. Significant stage show and danmaku also full of challenges, bringing visual experience different from traditional shooting games. 0 Comments ON " Fantastic Danmaku Festival Part II Free PC Downloa... "